As many NGO’s, governments and outreach programs strive to aid developing world farmers, the real struggle is to implement low cost, long term solutions to environmental degradation. In developing countries, farmers plant permanent cash crops, close together to maximize their production and thus increase their income. This is often the case in Vietnam where coffee, tea, and fruit plantations cover the rolling hills of the central highlands. The environmental and economic problems associated with these mono-crop systems are tremendous, leading to erosion, nutrient loss, loss of topsoil, polluted water sources and compacted soils. Most of these environmental issues increase the dependence on the use of synthetic fertilizers, pesticides, and herbicides, which can have severe consequences to human health and the earth’s future food productivity. Several organizations focused on outreach recognize these issues and search to find practical solutions for farmers. When creating realistic answers to these problems we need to break the common monoculture mold and create low cost, low-labor, permanent solutions to restore soils. Many organizations come to the developing world with high hopes of making a positive impact on the environment and humanity. This is an extremely admirable quality that we can only hope becomes more widespread. However, these gracious efforts sometimes fizzle out when the projects are prematurely considered “complete.” Due to little or no follow up, things quickly go back to the way they once were. As a result, we must instead ask ourselves, what are some ways that we can maximize our efforts? How can NGO’s create solutions that will last longer than their stay? Oftentimes, scientists and environmental consultants fail to recognize that they weigh the benefits of certain applications or changes differently than farmers. Struggling farmers often overlook long-term benefits or ecological benefits because of more pressing issues, such as feeding their families. Sustainable methods promoted in the developing world are extremely important for the future of both farmers and the environment. Yet, it may be difficult for farmers to follow through with these practices because, with each technology or idea presented, there are practical restrictions, such as management, education, finance, time and even storage space. Organizations should strive to make farmers lives easier. Therefore, if there is initial labor and costs needed, it is our belief that the bill should be covered by the organizations themselves. We are currently working in Vietnam and have been observing and implementing different agriculture techniques. Thus far, we have mainly been working with coffee farmers. Many people are unaware that Vietnam is one of the world’s largest producers of coffee. Since coffee’s more recent introduction into the agricultural landscape of Vietnam, the crop has been widely planted throughout the highlands, making it one of the fastest growing agricultural commodities in the world. This quick change has led to wide range deforestation of the mountain slopes, leading to countless environmental problems. 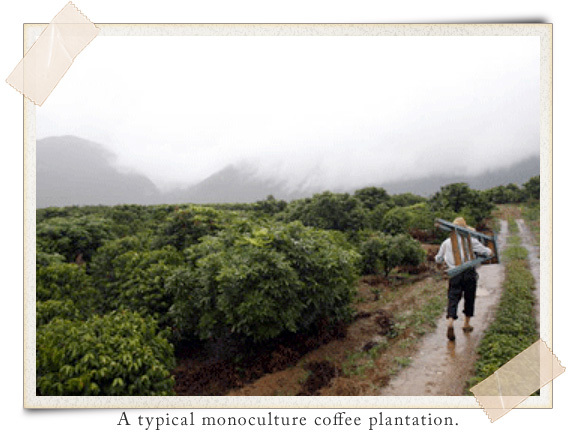 Specifically, the coffee monoculture has led to the wide scale use of herbicides, and commercial fertilizers. In Vietnam, we believe there is a need to promote practical solutions to the current environmental problems posed by coffee production. The solutions explained in this essay may also be applicable to several other permanent agriculture or orchard systems around the world. First, let us focus on nutrient loss. Soil nutrient depletion is a large problem in Vietnam, as it is in many other countries across the globe. We need to focus on building not only the soil’s nutrients, but also the soil’s ability to absorb nutrients. There are two favored ways of introducing natural nutrients: animal manures and green manures/legumes. The current debate is that there is simply not enough land or feedstuffs to raise enough animals to restore the soil using strictly composted manure. Therefore, there has been a huge NGO push advocating the introduction of specialized leguminous species into agricultural systems. Legumes are in the family Fabaceae or Leguminosea and make up the third largest plant family in the world. There are over 19,000 varieties and can be found almost everywhere except the extreme arctic. Most leguminous plants have specialized bacteria on their roots called rhizobia. These rhizobia can be seen as little pods along the roots called root nodules. Rhizobia are crucial to agricultural systems as they pull N2 or nitrogen gas out of the atmosphere and then convert it into NH4; with proper management this can help minimize fertilizer needs. Nitrogen fixation is the result of a crucial symbiotic relationship that should be maximized by incorporating legumes into the system. 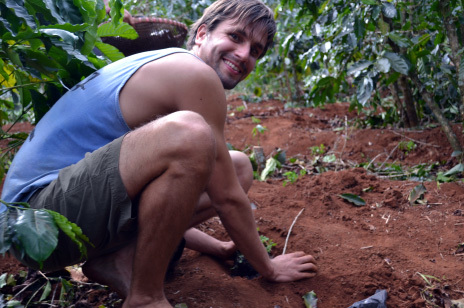 AGC contributor and Co- Author, William Rutherford, planting leguminous perennial peanut in a coffee orchard. Legumes come in many varieties, as some are grass or groundcovers, while others can be large trees. Some are annuals, but the majority are perennial varieties. Not unlike the layers of a healthy forest, there is a canopy where tall trees strive to absorb full sun. The understory, composed of smaller trees that don’t need as much sun, thrive as well. Underneath this layer are the shrubs and groundcovers that lie close to the forest floor. There are species of legumes that fit into theses layers of a forest making them applicable in virtually all settings and environments. However, it is important to select the right legume or combination of legumes for every farm. While some grow fast and need constant trimming or can be invasive, other varieties, such as ground covers, are low labor. All have individual advantages additional to nitrogen fixing, such as mulching, fodder, intercropping, weed control, hedgerows, and loosening soils. For example, Gliricidia, a medium sized tree that can grow up to 12 meters high, is one of the most nutrient rich legumes. It can be planted in or around a fruit orchard and is even used in some areas to provide shade for coffee trees. The resilient and fast growing Gliricidia can be cut back aggressively; leaving the branches to be chipped and blown directly into the orchard as nutrient rich mulching. Pigeon pea is a multi use leguminous shrub that can also be planted in orchards to serve as a living-mulch or used as a cover crop. It is extremely helpful in loosening soils and increasing the circulation between trees. In many areas of the world, pigeon pea is grown for human consumption. One of the most favored tropical legumes is Leucaena, a tree species used for fodder, human consumption and firewood production. Above are the following legumes Gliricidia, Pigeon Pea, and Leucena respectively. This is the first part of a two part essay written by Loren Cardeli and WIlliam Rutherford. Interesting. So as ‘developed’ countries finally realise the errors of their farming ways and work to correct the soil degradation caused by greed and ignorance; we have helped developing countries into the same spiral? Ouch! Time and time again humans tell each other what to do when we have no idea ourselves, even with the best of intentions. There have always been those that walk gently on this earth but, it appears their commonsense will always be drowned out by the clanging of coins.  Luckily, if they but persist on speaking up for Mother Nature, eventually the clanging quietens enough for their voices to be heard, and land is brought back into sustainable productive use, if only for long-term monetary music. There is hope; we learn. Thank you for helping us learn. Great work guys! I was wondering though if instead of cutting down all the trees on a hillside to promote coffee production to it’s maximum, why not cut down small areas first in a spotted fashion? Grow your coffee bushes(I think that’s were they come from) in small clumps first. Then as need and expertise grows, extend the areas of production. Keeping in mind soil erosion and the esthetics of natural beauty. No one wants to work in an ugly area. I am so excited about your work! You know there are more and more retirees who enjoy volunteer work all over the world. I am wondering if that may be a source of free labor as well as donations for your cause.